The actual drone photo has not been used in this article.Image is CGI generated. 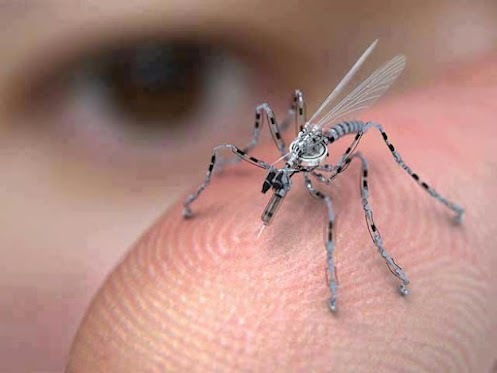 It has the capability to fly remotely and land on your skin, like a real mosquito, and use it’s super-micron sized needle to take your DNA sample. All you feel is the pain of a mosquito bite (without the burning sensation and the swelling ofcourse). This device can also inject a micro RFID tracking device, right under your skin, without you feeling nothing more than a small bite.